"Displaying a frightening amount of rock mojo for a guy who seems fairly quiet and unassuming, Edelston used his amplified three-string mountain dulcimer to roar his way through ‘Whole Lotta Love’ without so much as breaking a sweat. After watching this, we’re ready to jump iin a van and follow Edelston around on tour." "'You can't do that on a dulcimer!' Well, maybe you can't but Sam Edelston can. 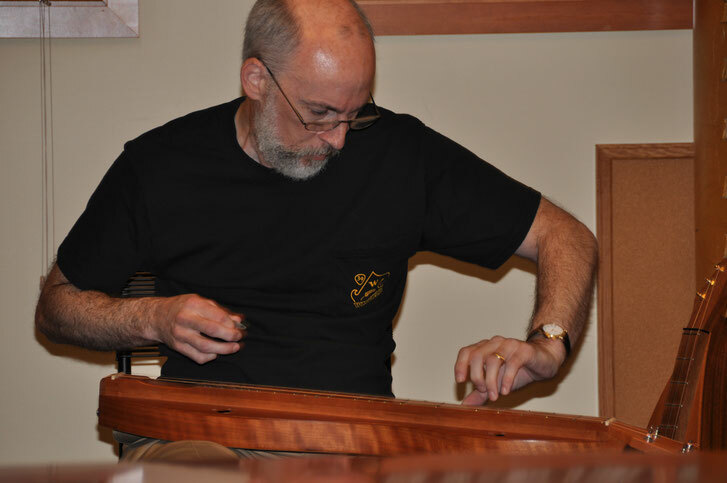 Sam has taken the mountain dulcimer from its backwoods Appalachian origins to places most players never dreamed of. From Sousa to Sinatra to Led Zeppelin. Sam's skewed sensibilities on what might be "appropriate" for the dulcimer extend to his music as well. Look for parodies, mash-ups, and other delightfully warped offerings from this innovative musician." 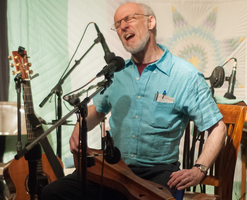 "Connecticut resident Sam Edelston is a dulcimer wizard who has used the old-time instrument to cover classic rock songs in the past. We're in awe of one of his most recent covers as he does a bang-up job of tackling Led Zeppelin's 'Whole Lotta Love.'" "This is one of the 5 coolest things I've ever seen/heard on dulcimer ... and the other 4 were all with Sam as well!" -- Dulcimer master Tull Glazener, after seeing a video of Sam performing "I Can See Clearly Now" with Nicki Parrott's jazz trio. 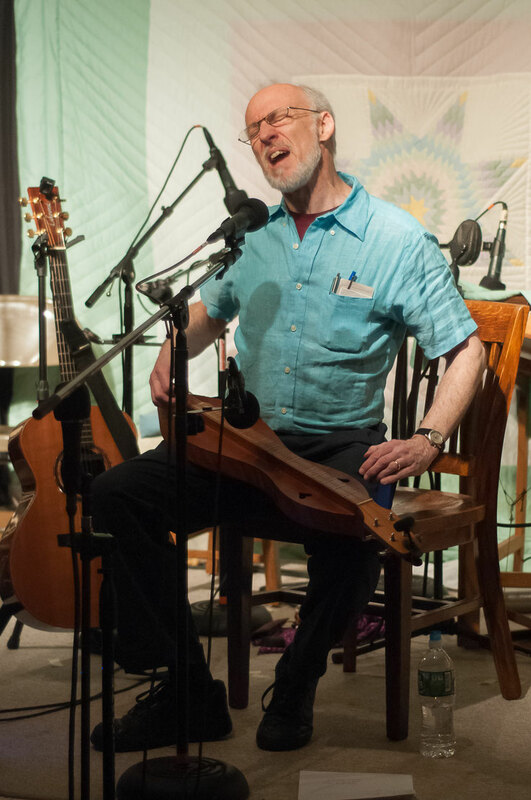 "With his complex layered arrangements of so many genres of music for the dulcimer, Sam has added a huge chapter to the development of the mountain dulcimer as a versatile and ever growing musical American folk instrument." 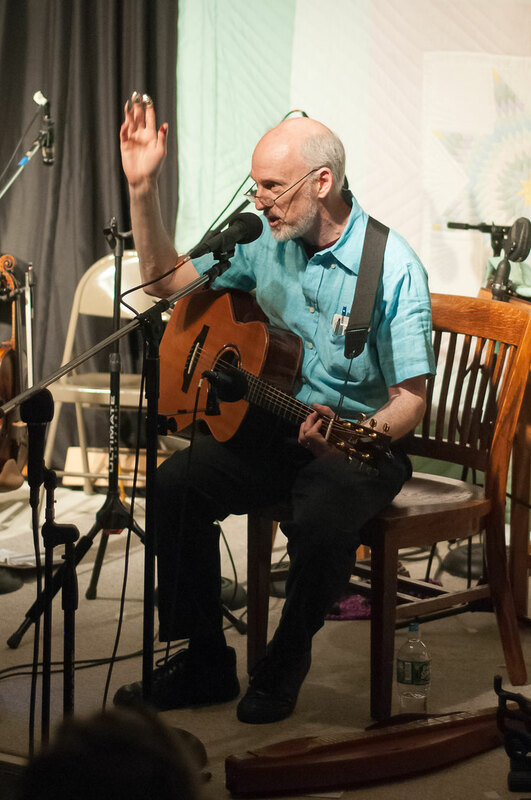 "I've never heard a dulcimer sound so much like a guitar before." "Rosie's daddy came in and sang to us today. He was so much fun. Can he be my daddy, too?"